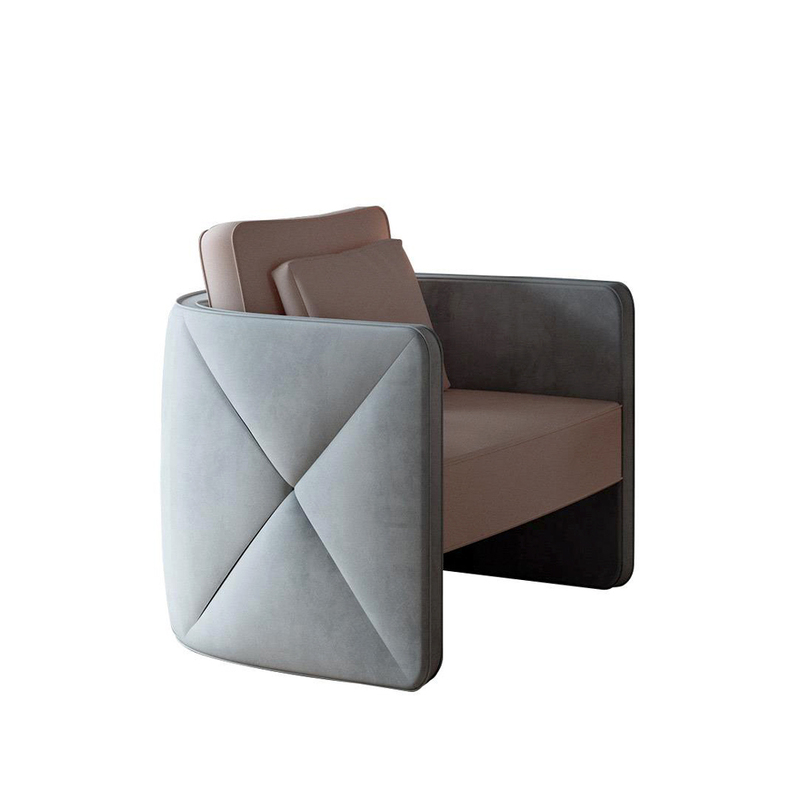 Aura is a luxury Italian lounge chair with polyurethane foam padding of different densities and internal wooden structure. 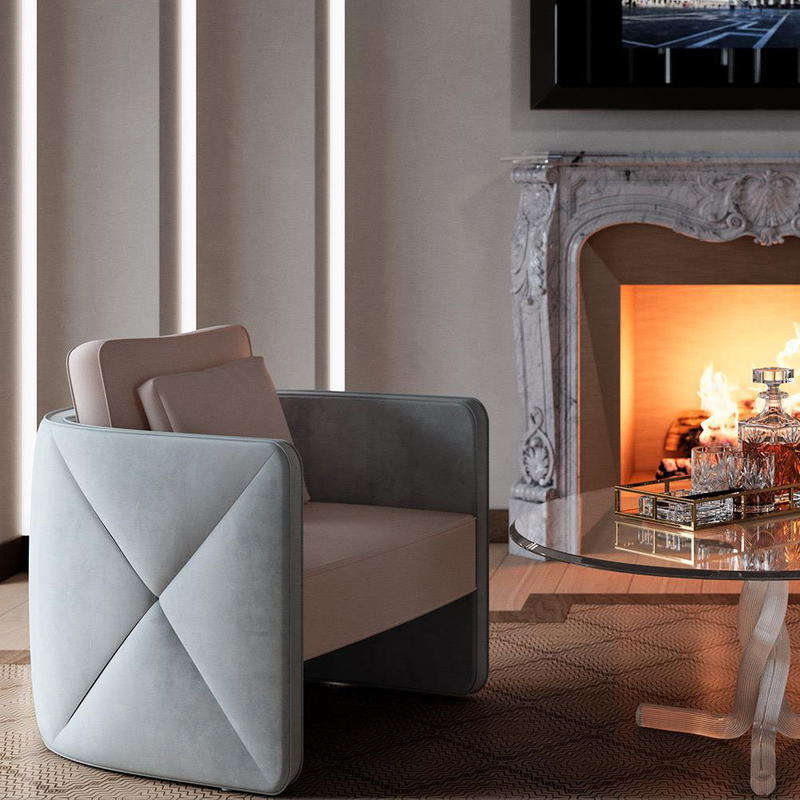 This high-end armchair has Diamond convex details on the sides created by the crossed stitching and double piping all around the chair. Back cushions in goose feather with rigid polyurethane insert. 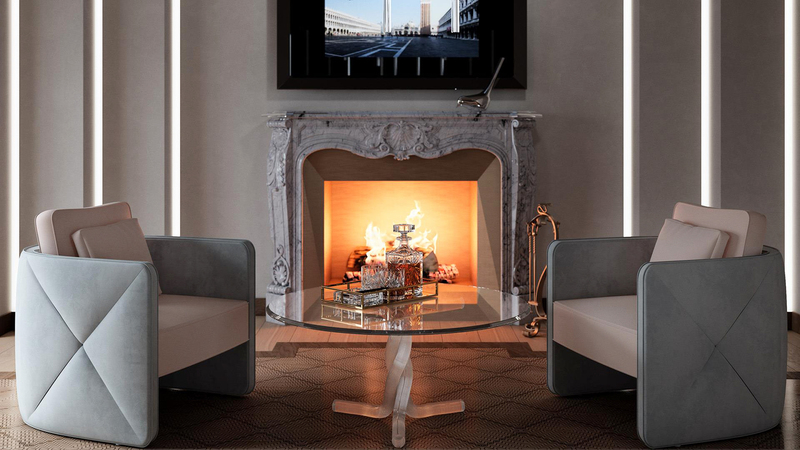 An Italian Furniture piece, that can be covered fully in Fabric or Leather or combining both materials having the exterior in Fabric and the interior in Leather. 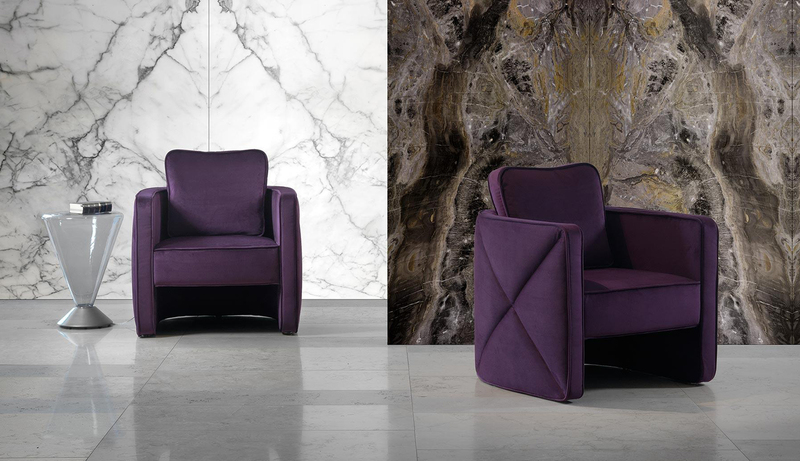 Elegant and sophisticated, this comfortable designer lounge chair is a perfect addition for Contemporary seating areas. Aura is a luxury Italian sofa with polyurethane foam padding of different densities and internal woo.. This Italian San Marco XL Bed comes with a sophisticated headboard, sides and base, covered with hig.. This luxury Italian San Marco Nightstand has its wooden structure in shiny Ebony wood or shiny lacqu..